How to install games with cache. 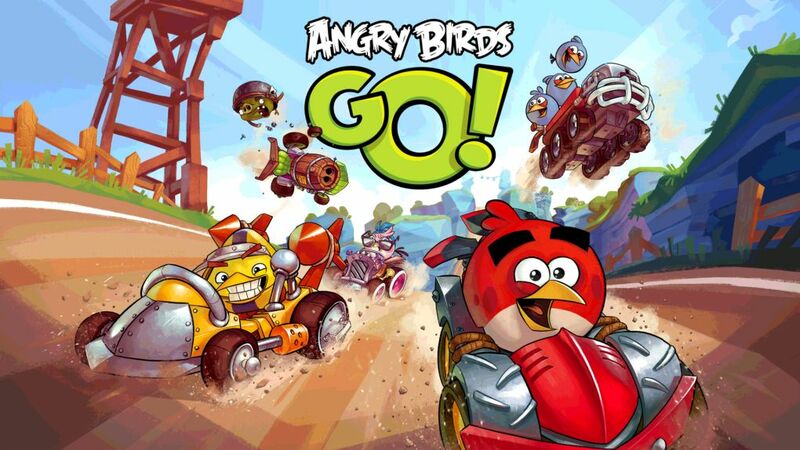 Many of the games on our site apart from the main APK files require installation of the cache. CACHE - is a special file, which contains a range of different media. This is graphics with textures, and videos as well as music from the game. 1. Download the APK and cache. 3. 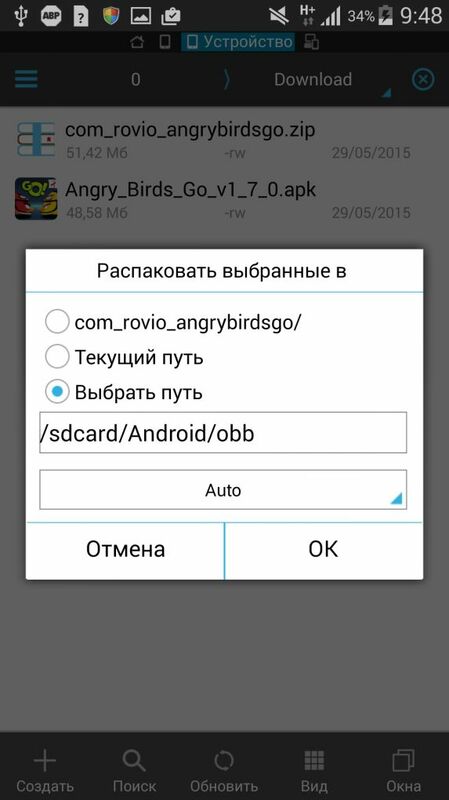 Unpack the archive with a cache at the path specified on the page with the game (most often it is «sdcard/Android/obb/»). Unfortunately, the majority of Android-devices "out of the box" do not support working with archives (zip, rar, etc.). 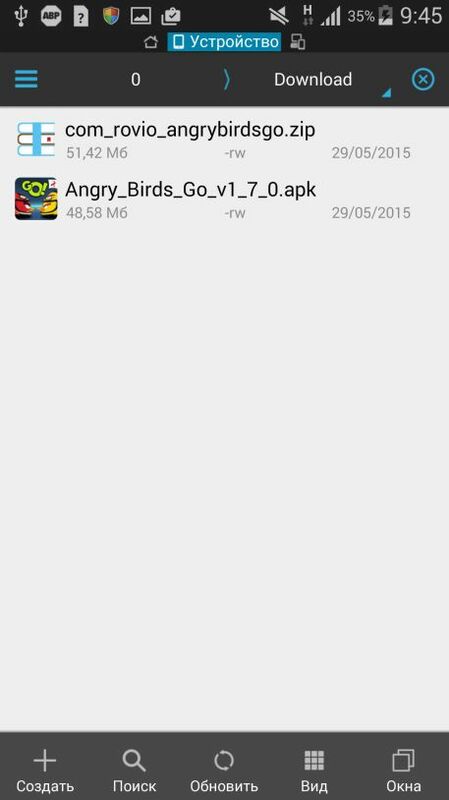 Install the game with a cache without difficulty, you can use one of the popular file managers. 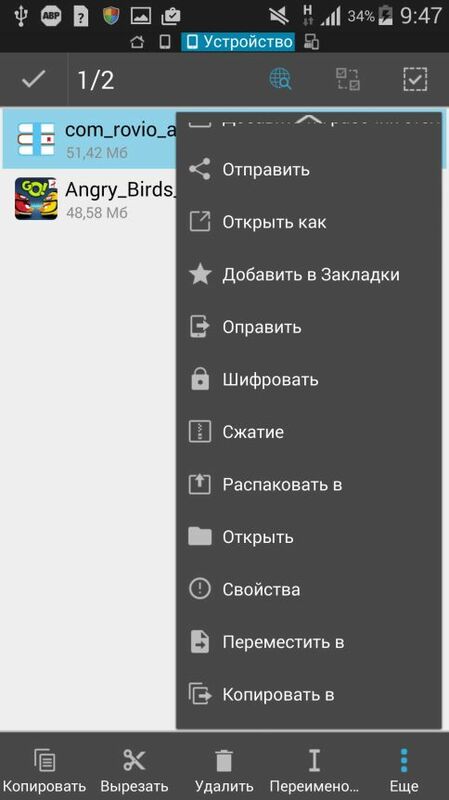 Consider the example of a popular file manager ES Explorer installation of the game ««Angry Birds Go!». 1. 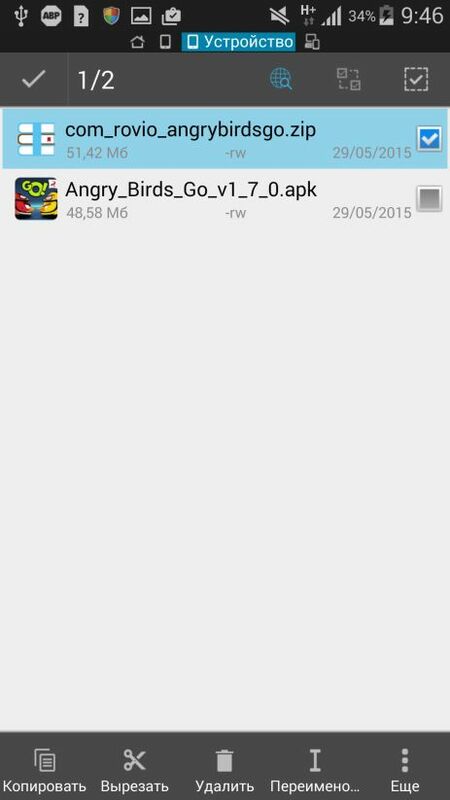 Run the application ES File Explorer and select the folder in which downloaded the APK and cash games. 4. Press the "More" on the bottom. In the drop-down list, select "Extract to." 5. Choose the path to decompress cache and press OK.
6. Begin unpacking the archive. 8. Start the game and play. Besides the universal file manager for advanced work with different archives and, of course, extract caches suit application archiver. Look closely at the most popular of them: Zipper, WinZip AndroZip. 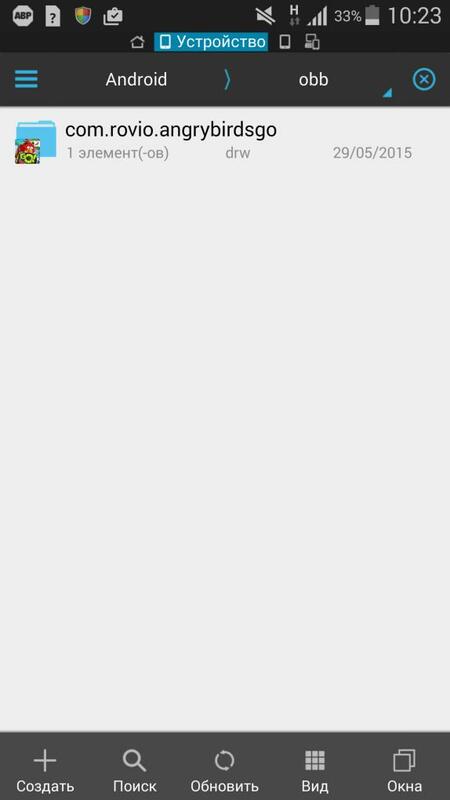 With them you install any game with a cache almost a few seconds.